Donald Trump has proposed a new redistricting idea to have Congressional districts carved out in the shape of his silhouette—the actual outline of his full body profile to scale. “I was doodling on some scrap paper–last year’s budget I think–and as I drew myself, I thought I saw the future of North Carolina,” Trump tweeted in response to the Supreme Court hearing on partisan redistricting cases in Maryland and North Carolina that will be decided in June. It’s satirical, and even plausible on how the president, our narcissist- in-chief, during his morning cable news viewing time, might think of an important Supreme Court issue while doodling on scrap paper made up of last year’s budget. And at least 30 percent of the country would believe in it. 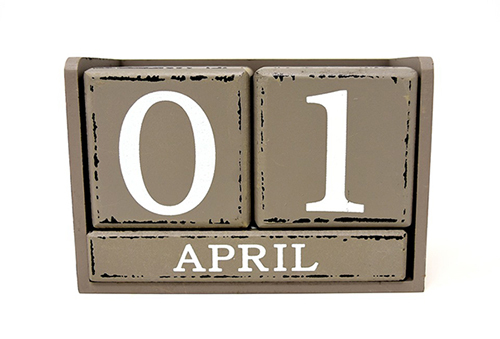 April Fools’ Day is a satirist’s national holiday. A time for jocular jesting. The last two years, Donald Trump has stolen April Fools’ Day from news-types looking for a laugh. He’s branded the mainstream media and all those who disagree with him as “fake news.” He’s called the media, society’s traditional fourth estate, “the enemy of the people.” It’s reported to be the Trump campaign theme. He’s even threatened the free speech rights of shows like “Saturday Night Live.” All while putting out his own news through his chosen right-wing conspirators. It’s taken the gentle humor of April Fools out of the day. But what the heck, here’s another one for you. Mueller Report to be released in mid-April to Congress and American public after first being translated into Russian. “After all they’ve been through with the election investigation, we owe a full translation to the Russians,” said the President. Joke, yes? Or nyet? Russia probably already has the report. Just another way that Trump has spoiled the April Fools’ Fun. He’s normalized the outrageous. He’s made everything plausible now. Trump siding with Putin over his own intelligence agency? Close the border? In the past, a president would be more circumspect and restrained before making such a statement. Add to all that the real news occurrences. Fox News refers to Central American countries as “Three Mexican Countries”? Ha-ha? But it really happened this weekend on the official propaganda tool of the White House. And then there are the ongoing top head scratchers of late. Chicago prosecutors drop all felonies against accused hate crime perp and “Empire” Star Jussie Smollett? Rich parents and celebrities rig system, pay hundreds of thousands to get kids into elite colleges? I’ve always said the Smollett case, where the actor was accused of concocting a hate crime for personal gain, was cut from a Trumpian cloth. That an Asian American lawyer communicated with the Cook County prosecutor, who put in for special treatment for Smollett before recusing herself, is unfortunate. But it does reveal how a sense of privilege exists in America that cuts across ideological lines. Wealth, power, influence. Not supposed to happen in a democracy. In the college admissions case, rich people didn’t think twice about paying hundreds of thousands in bribes for advantages they didn’t deserve. They just felt wealth entitled them. Among the entitled, at least one named Asian American businessman in California. It does give us the sense of America under Trump where our values of what’s true or ethical are so totally out of whack we’re getting used to the news shocks..
See, too real to be an April Fools’ joke. And at least 30 percent of our country would think it’s true and be all for it. I leave you with a real bit of news for April First. This is the National Day of Action for the 2020 Census. We are now a year away from the start of the official data count that will determine who gets $800 billion in federal resources and decide how congressional districts are really put together. “This count is the bedrock of our representative democracy,” said Vanita Gupta, president and CEO of the Leadership Conference Education Fund, and a 2019 recipient of AALDEF’s Justice in Action award. Asian Americans remain the fastest growing group at more than 22 million, with another 1.6 million Native Hawaiian and Pacific Islanders. If you want to fight the things I talk about in the first parts of this column, then get ready for the 2020 Census and make sure we’re counted accurately. The education efforts nationwide begin in earnest on April 1st. And that’s no April Fools joke.